Wasn’t I just saying that I love weird westerns? (Yes, I was.) 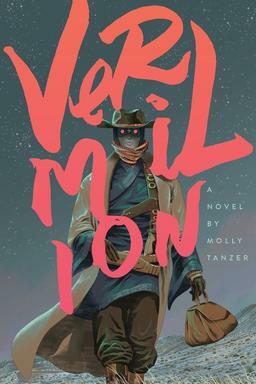 And now comes the debut novel of British Fantasy Award nominee Molly Tanzer from Word Horde, featuring a gun-slinging 19-year-old, an undead villain, geung si (wait… what the heck are geung si? ), ghosts, and an alternate San Francisco. Life is good. Publisher Word Horde has been doing some terrific work recently, including The Children of Old Leech, Ross E. Lockhart’s Giallo Fantastique, and the upcoming anthology Cthulhu Fhtagn! Vermilion looks like a terrific edition to their catalog. Gunslinging, chain smoking, Stetson-wearing Taoist psychopomp, Elouise “Lou” Merriwether might not be a normal 19-year-old, but she’s too busy keeping San Francisco safe from ghosts, shades, and geung si to care much about that. It’s an important job, though most folks consider it downright spooky. Some have even accused Lou of being more comfortable with the dead than the living, and, well… they’re not wrong. When Lou hears that a bunch of Chinatown boys have gone missing somewhere deep in the Colorado Rockies she decides to saddle up and head into the wilderness to investigate. Lou fears her particular talents make her better suited to help placate their spirits than ensure they get home alive, but it’s the right thing to do, and she’s the only one willing to do it. On the road to a mysterious sanatorium known as Fountain of Youth, Lou will encounter bears, desperate men, a very undead villain, and even stranger challenges. 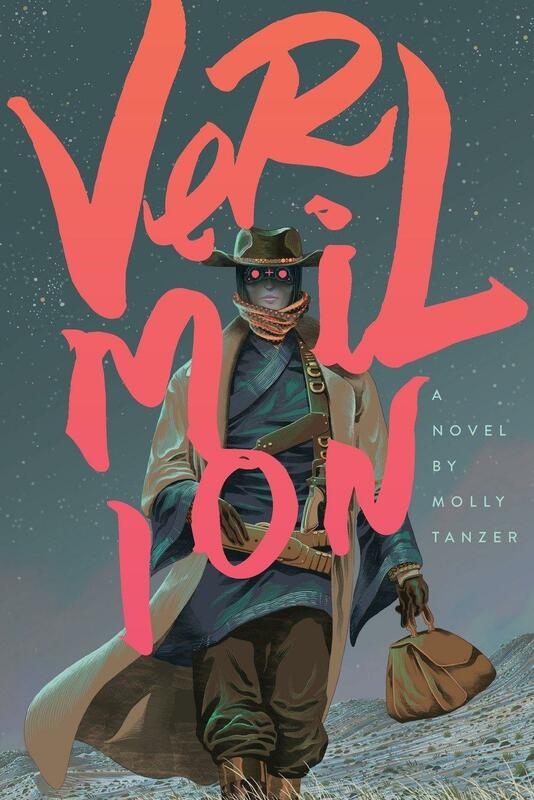 Lou will need every one of her talents and a whole lot of luck to make it home alive… From British Fantasy Award nominee Molly Tanzer comes debut novel Vermilion, a spirited weird Western adventure that puts the punk back into steampunk. Vermilion was published by Word Horde on April 15, 2015. It is 386 pages, priced at $16.99 in trade paperback and $6.99 for the digital version. The splendid cover is by Dalton Rose. What the hell is a geung si? That sounds worse than a baijui hangover–trust me, you don’t want one of those. I looked through my Monster Manual for that one and came up empty. That usually is not a good sign. It sounds very interesting John, I’ll have to get it. Your last recommendation of a weird western was RS Belcher’s two books. If you are a weird western fan, they will hit the mark. I loved both of the books and put Belcher down as a writer that I’ll buy his next book when it comes out. I’ll admit that the first book was busy with a lot of world building and characters but I like that sort of thing which bugs some readers. It made the second book so much cooler because you knew the characters with their dark secrets. That was a great recommend John. I liked the deputy especially–no spoilers. The world of fantasy literature needs more Taoist psychopomps. One of my oldest friends has one coming out in November that’s more historical/magical realism than weird western. Thanks to Matthew Boroson’s beautifully curated Pinterest boards of monsters from Chinese folklore, I can tell you that geung si are hopping vampires dressed in official robes from the Qing dynasty. Apparently they’re staples of kung fu horror films. Ape — glad you liked the Belcher books! Have you seen John Joseph Adam’s anthology DEAD MANS HAND? It’s a fine prize for us weird western fans. > geung si are hopping vampires dressed in official robes from the Qing dynasty. Ah… thanks Sarah! I think I saw one of those in VAMPIRE HUNTER D.
I highly recommend Molly’s collection of stories A Pretty Mouth. Weird fiction at its best. Thanks, RJ. She seems to be an author on the rise, for sure.